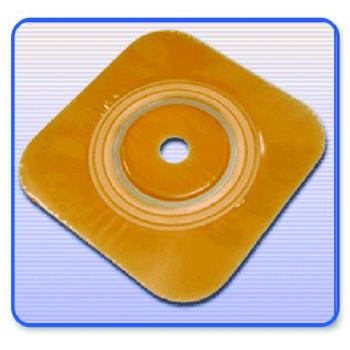 The Genairex Securi-T™ Extended Wear Cut-to-fit Wafer w/Flange is an individually wrapped soft hydrocolloid (no tape collar) with flange sizes ranging from 1 1/4" (32mm) - 2 3/4" (70 mm). The Genairex Securi-T™ Extended Wear Cut-to-fit Wafer w/Flange is an individually wrapped soft hydrocolloid (no tape collar) with flange sizes ranging from 1 1/4" (32mm) - 2 3/4" (70 mm). This extended wear skin barrier provides longer wear time than standard wear. It is available in five cut-to-fit wafers. Discreet, low-profile and easy to use. Flanges connect with a gentle smoothing motion, and feature top-quality hydrocolloids and flexible flange attachments for greater performance and wear time.